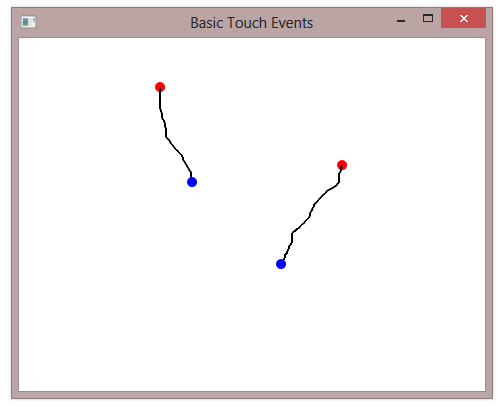 When you’re handling low-level touch events in WPF and the user will be using more than one finger at a time on the screen, you’ll want to keep track of which finger is generating a particular touch event. You can do this using the TouchEventArgs.TouchDevice.Id property. Every touch event handler will report a different Id for each finger that is touching the screen. Also, when you touch and drag a finger on the screen, the Id property will remain the same for all events associated with that finger.